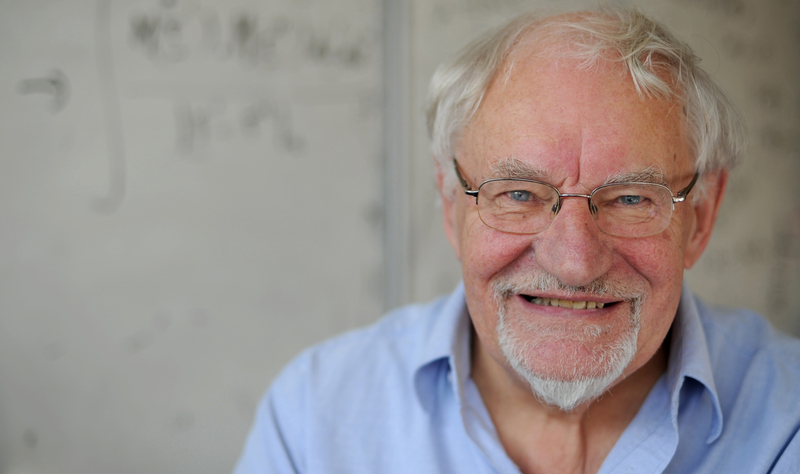 A University of Warwick physicist is still applying his grey matter to some of the biggest unsolved questions of the universe as he turns 80 years old. Emeritus Professor George Rowlands, who first came to Warwick in 1966, has clocked up more than six decades of research in theoretical physics - and he believes it’s the challenge of tackling complex scientific problems that has helped keep him young at heart. He is a frequent author of academic articles on the mathematics behind subjects such as fusion energy, which could one day promise clean and unlimited power, despite officially ‘retiring’ 13 years ago. Another area that interests Professor Rowlands is hot plasma, for example the behaviour of cosmic particles emitted from the sun which are behind phenomena like solar storms and the Northern Lights. He is also modelling the dynamics of the shoaling of fish and the swarming of starlings, which can offer insight into human crowd behaviour, as well as looking at motorway traffic and how it flows. Professor Rowlands, who turned 80 on 17 November, shows no sign of stepping back from his calculations and equations. “Physics is my hobby as well as my job and I have no plans to give it up,” he said. “I’ve been very fortunate for the last 60 years to work in an area which I love and which still fascinates me when I look at the world around me in my every-day life. “A non-scientific person sees a tree and thinks it is beautiful, but a scientist sees a tree and sees not only its beauty but also the clever physics behind it. “When you’re involved in my kind of research there’s always something new to discover, and there’s always a new challenge.